SACRAMENTO, CA -- On Thursday night, in a 4-3 vote, the Sacramento City Board of Education approved a $1,473,236 contract to pay for police officers on five of the district’s high schools and roving officers for its middle and elementary schools. At a time when the District is facing a $36 million budget deficit, risking state takeover and eroding trust among community members, the decision to extend this contract further plunges the District into greater fiscal uncertainty. Over the vocal outcries of students, parents, teachers, community organizations and the recommendation from the District’s own African American Achievement Taskforce—Board President Jessie Ryan, Board Members Darrel Woo, Christina Pritchett and Michael Minnick voted to extend a previously expired contract for police officers on campus until the end of the school year. “During Superintendent Jorge Aguilar’s first year in his position, he has preached the importance of community engagement and championed educational equity. The Board’s decision to extend this contract undermines the legitimacy and authenticity of those commitments. 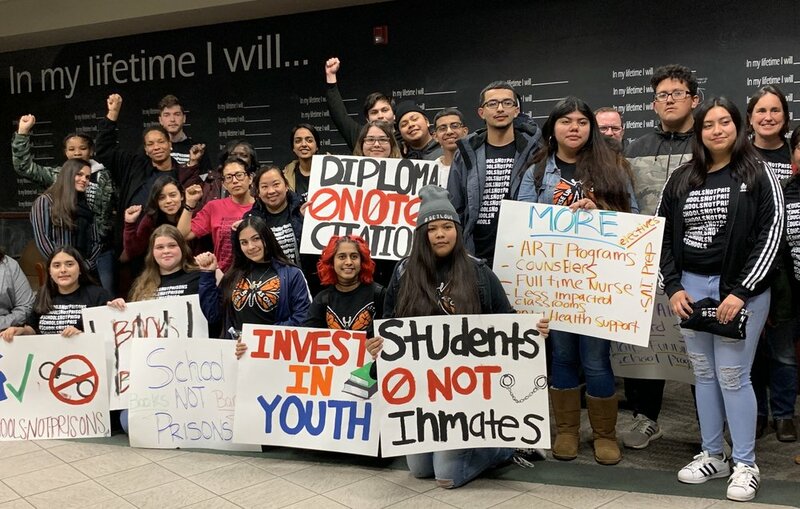 There can be nothing more damning to educational equity then the on-going criminalization of students of color and divestment of resources from social and emotional student support services,” stated Cha Vang, Executive Director of Hmong Innovating Politics. The original contract with the Sacramento Police Department (SPD) ended in June 2018 but officers continued to occupy schools in the District without Board approval. Working out of contract and without Board oversight, District staff presented an identical proposal in October 2018 to extend the SPD contract. That proposed contract was tabled when several board members, responding to grave concerns raised by students and community members, asked District staff to rework the contract to ensure greater transparency, include data collection, adopt best practices, identify training curriculum and gather more community input. Four months later, ignoring their own recommendations Board Members Ryan, Woo, Pritchett and Minnick approved the extension of the contract with none of those provisions included and actually increased the budget for police officers by an additional $75,000. After last night’s vote, the community coalition of Black Parallel School Board, Blacks Making a Difference, Brown Issues, Hmong Innovating Politics, Sacramento ACT, and Self Awareness & Recovery expects Superintendent Aguilar and the Board to bring in students, parents, and community for conversations to take action steps on transitioning schools and administrators away from the use of police officers on campus so that real, evidence-based, community led and data driven solutions can be implemented for the safety and wellness of all students in Sacramento City Unified. We are living in heartbreaking times. Children being torn away from their parents. Families seeking refuge and asylum from violence and poverty being turned away. Immigrants are being denied entry because of their faith. Sadness, anger, and powerlessness. Those are all feelings I’ve had all week. Seeing the images of families in search of a home reminds me so much of our family’s journey and hardship in coming to the United States. From the war-torn villages of Laos to the refugee camps of Thailand and finally to our communities here in the United States--a generation of soldiers, mothers and children lived through similar hardships in hopes of a better future for the next generation. Outside of internet trolls and ignorant family members, I am hopeful that deep down--the vast majority of our refugee community has a deep empathy for the families at the border. Our collective hearts break when we see and hear children being forcibly separated from their parents. That we see our own parents pain in the faces of parents who are imprisoned in immigrant camps. The time for our community to remain on the sidelines is over. As refugees or the children of refugees--WE know better than most the gut wrenching choice parents make in deciding to give up everything and leave their homeland because that choice outweighed the certainty of death in the face of violence and war. We know exactly what it feels like to be rejected by the majority of this country--many of whom were anti-immigrant and vocally opposed our resettlement. We know better than most the power of compassion and love--as we were the recipients of both when our families first arrived. Our time is now. It is our turn to stand up and make our voices heard loud and clear. We cannot be afraid in condemning the inhumane treatment of families seeking asylum. We will be bold in challenging those in power--holding them accountable and voting them out if they fail to stand up for basic human rights. We will not turn our backs to families in need, simply because they are not Hmong. We will offer love and compassion to our Muslim brothers and sisters for they carry the burden of dealing with this country’s hatred and racism on a daily basis. Change starts at home. Have important but difficult conversations with members of our family that have only gotten the false news or fragmented perspectives about family separation. Show the images of children crying. Play them the audio of a little girl crying out for her mother. Show them this video of a father’s heartbreaking phone call with his daughter after he’s been deported. Ask every elected official--on every level-- what they’re doing to protect immigrant children. School board members can take steps to address trauma among students impacted by deportation. Mayors and city council members can provide resources and establish sanctuary cities. 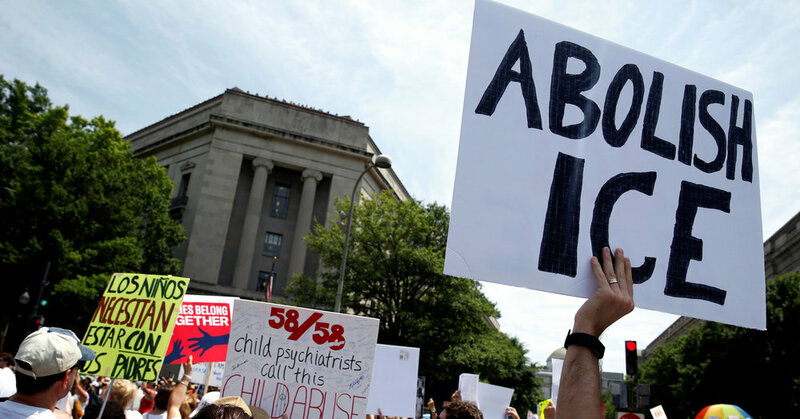 Congress can pass compassionate immigration reform and end these atrocities.